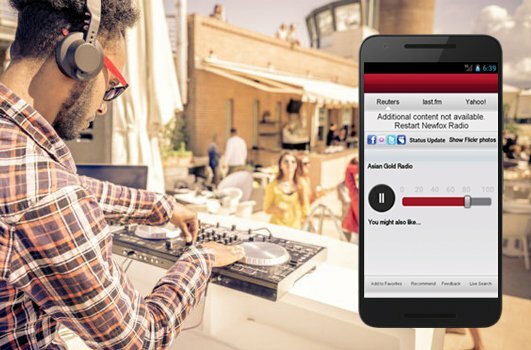 This DJ application brings the iPhone/iPad into the DJ booth. Taking all main features for the pro DJ in one, it is an easy to use, accessible interface for the iPhone/iPad. A small compact solution in the form of an iPhone/iPad, which should be hooked up to a mixer compelled by a second iPhone/iPad, to perform the art of DJ’ing. The DJ can use any audio file, which can be synced with the music library of the iPhone/iPad. A DJ could even use songs bought in the iTunes store, which makes it possible to mix with the application.